Your team leaders are elite, real Army Ranger/Navy SEAL/Green Beret/Delta Force Operators. You will be placed into teams, instructed by these combat heroes and put to the test during an amazing show where you are the star! 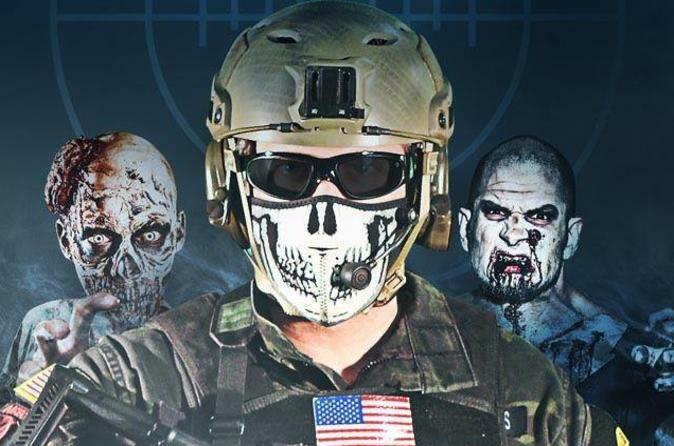 Come experience an entirely new world that puts you battling at the front lines facing off against zombies and terrorists! This 90 minute, live action attraction is a sensory immersive experience, with over $200,000 in special effects, which taps into each of your senses at a level like never before. Your mission will be led by these real American Heroes through a gauntlet of chaos while trying to accomplish your sub-tasks, such as intelligence gathering, calling for air support, breaching and more. All the while you will be in the final battle for humankind, believing that you are truly the last hope of Good vs Evil. The experience is here and it is called Adventure Combat Ops!! !